This article contains Affiliate Links. Please review our Disclaimer for details. During the first couple of weeks, keep doggie social events at a minimum. It is important to keep in mind that some dogs don’t have the proper vaccinations and can expose your new pup to deadly viruses or parasites. Wait to do your socialization training when your new pup is a couple of months old, has been wormed, and had a few of his first vaccines to protect him from so many dangerous diseases. Once your dog has been wormed and received his initial vaccines from the vet, it’s a good time to start introducing some doggie friends. The best time to socialize your dachshund is between 10-12 weeks old. 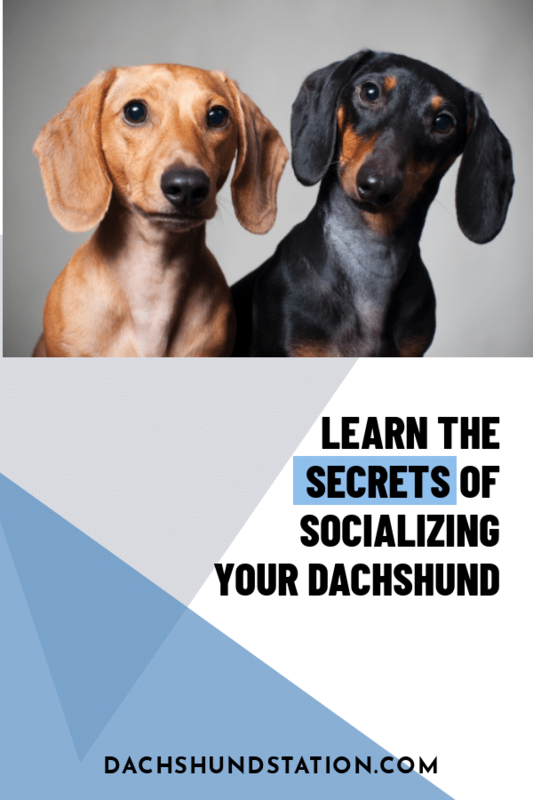 Here are some great tips to help your dachshund socialize with other dogs. Introduce new people and animals gradually. Too much exposure to new animals or people can cause your dachshund to become overwhelmed and possibly cause him to be scared of others. Plan doggie play dates or introduce your dog to your neighbors with or without dogs. It is important your neighbors get to know your dachshund in case there is a time they wander into their yard. When people are introducing themselves to your dog, ask them to get down to the dog’s eye level and let the dog approach them slowly. This allows the dog to make the decision if he wants to sniff their hand or allow them to pet his head. Make sure young children have help petting your dog, sometimes being gentle doesn’t come naturally to kids, so help them understand kindness and respect towards your dog so they become friends. Take your dog on car rides. Whether they are a brief ride to the park or to grandma’s house, allow your dog to tag along. Dachshunds love bye-bye rides. When you are leaving the house, give your dog a command so he knows where he is going. “Time for a bye-bye ride”, etc… They will quickly love this command and associate it with going on a trip with you. If your dog tends to be prone to getting car sick, try shorter trips in the car and be prepared with some cleanup gear in case. Also, check with your vet to make sure your dachshund doesn’t have an ear infection, sometimes this can cause inner ear dizziness which can lead to getting sick in a moving car. Make sure your dachshund is safe and secure in the car for the ride. You can have them in their small travel crate, sit them on a passenger’s lap, or you can even buckle them up in a special dog car seat. When you first hook up your new dachshund pup to a leash, he probably won’t have a clue what to do with it. He needs to learn that he is safe and secure on the leash. Don’t pull too hard on the leash and hurt your dog’s neck, be gentle. Also, always secure the leash around your wrist. When a dachshund sees another animal, they may try to bolt, try your best not to let your dog loose. If you encounter another dog walker on your path, you can let the dogs sniff each other if they seem friendly enough, but keep in mind not all dogs are friendly. If your dog seems scared, don’t force them to meet with the other dog. Just move them away from each other and hold on tight in case of an aggressive encounter. Introduce some new sounds to your dachshund. They love to hear the radio, as long as it is at a reasonable volume. When indoors, introduce your dachshund gradually to the sound of the vacuum cleaner. Allow them to lay in a nice comfortable spot a safe distance away from the loud sound. Obviously, don’t chase them with it, it isn’t funny to them, it is terrifying. While playing outside or on walks, listen for the fire engines or a distant passing train, allow them to listen and let them know they are ok. Always treat your dachshund with kindness. They love you with all of their being, they need your love and support at all times. They depend on you, their loving owner, to love and protect them back. Keep your kids away from the dog if they are too rough or making the dog nervous. 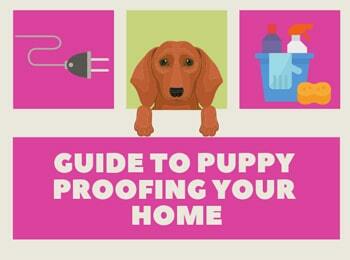 Allow your dog to escape and find a safe place to hang out when your roughhousing nieces or nephews come to visit. Now, don’t coddle your dog too much, they are allowed to have their own unique experiences, just keep watch and keep them safe. Keep socialization experiences positive ones. Whether it is a quick friendly introduction with your neighbor an hour puppy playdate with another dog, make sure things stay safe and positive. One bad experience is hard to erase from any dog’s mind, always keep watch and protect your dog. It can seem like hard work at times, but you will have a much better-behaved dog on your hands if you do things right. If there is ever a situation when your dog acts scared towards another animal, person, or place, don’t force them. Dachshunds have a special intuition that allows them to keep themselves guarded against others. It may be just a new face to them, allow them to make the decision to want to allow the friendly introduction or skip it. Forcing your dachshund into a frightening situation will cause them to become very skittish. They could possibly develop harsh instincts like biting or warning others when they feel threatened. When they are actually threatened in any way, yes, they need to defend themselves, but biting a stranger or a guest that visits your home will become a problem. When your child does a good deed like behaving in the grocery store, it is a great opportunity for the parent to reward the child and continue that good behavior going forward. Well, the same is true for your dachshund. If they go out to potty, give them a small reward or treat. If they follow your verbal commands (“Sit”, “come”) reward them. If you are stepping out for a couple of hours and need to kennel them in the house, have them enter the kennel, praise them, and give them a small treat. If they were good during a visit to the vet, give them a small treat afterward. This will help them be a little less scared on their next visit. To raise a well-behaved dachshund, it takes lots of love and care, but especially patience. If you work at being consistent with rules and routines with your new pup, in a couple of months, you will have a well-established relationship with your dog. 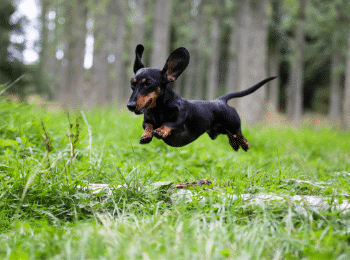 Dachshunds have a unique disposition and an adorable bold attitude. 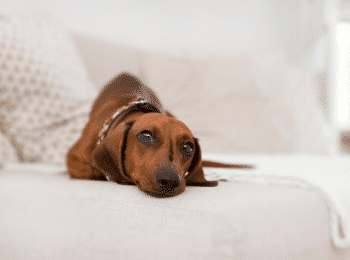 Here are some common traits to keep in mind when socializing your Dachshund. Dachshunds are born hunters. They will chase after other animals that will occasionally roam into their yard. Make sure they are on a lead when they go outside. Make sure they have a comfortable collar and proper license and name tag (or microchip) to identify your dog. These dogs love to follow their nose, so watch them carefully. Avoid letting them wander near roads at all cost. Dachshunds are brave and can be feisty at times. When raising a dachshund, you will learn that they follow some of your rules and maintain a few of their own. 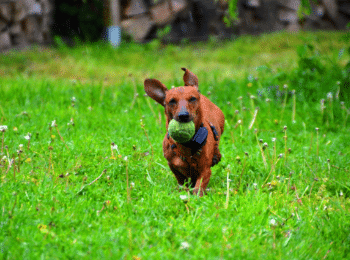 Understand that some dachshunds feel they dominate over other dogs. We had a German shepherd along with our two male doxies, and one of the dachshunds had to be the one to eat his dinner first. The other fur siblings had to wait until he was done, or eat in a separate room. These dogs just love to dig. They will dig in the dirt, dig their blankets to make the perfect dog nest, dig the couch or chair to make it a comfy napping spot. Put down a blanket on their spot of the couch or chair to help prevent any rips in the furniture. As for the backyard or garden digging, plan to fence up your beautiful flower or vegetable garden beds. Digging helps keep the dog’s nails trimmed down (slightly), so digging is actually good for them. 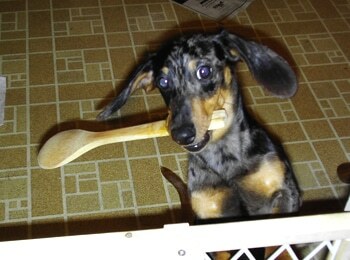 The dachshund breed was created to hunt. Chasing, digging, and barking is all part of that special heritage. When dachshunds are excited about something (or begging for something) they will bark. They will also bark when they are irritated. They will bark when they want to come inside after going potty outside, or if the children are playing too rough, or when the husband refuses to do the dishes (true in my house). Your dog will love you no matter what. Even when you have frustrating days, you will have other days where you can’t live without them. Cherish these special times of building a strong friendship with your new companion. Time is precious, live life to the fullest each day. Lunis, Natalie. 2009. Dachshund the Hot Dogger. New York, NY: Bearport Publishing Company, Inc.